This chapter provides an introduction to the research. The research topic and the research aspects are briefly introduced. 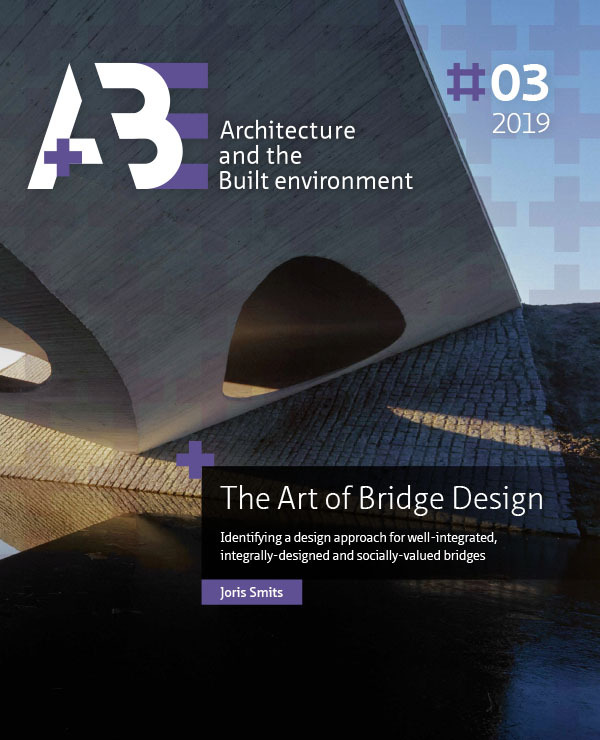 The changing role of the architect in the field of bridge design is analysed in an historical context. The role of the commissioning authorities is introduced. The problem of segregation of knowledge is introduced. The objectives and research questions are stated, a hypothesis is formulated and the methodology is discussed. Furthermore, an outline of the dissertation is provided. SMITS, Joris. Introduction. A+BE | Architecture and the Built Environment, [S.l. ], n. 3, p. 45-70, mar. 2019. ISSN 2214-7233. Available at: <https://journals.open.tudelft.nl/index.php/abe/article/view/3764>. Date accessed: 26 apr. 2019. doi: https://doi.org/10.7480/abe.2019.3.3764.